Königslutter is particulary easy to reach. Close to the Autobahn A2, Exit Königslutter. The nearest airports are Braunschweig and Hannover. We will pick you up there if you like! Fire and Ice - S O L D! Fire and Ice descends from the dam line of Alferate. She is a pleasing prospect by Fürst Grandios. 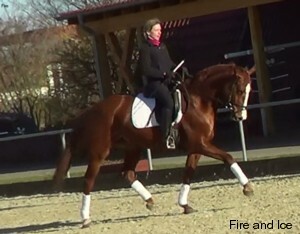 Appealing personality and easy to train dressage horse! 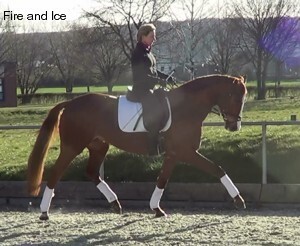 Her dam Brown sugar is a state premium mare and gave birth to a stallion by Florencio.This stallion was licensed in Verden 2009. More horses for sale will be added to this page shortly!